Valigo is a web-based application through which companies can conduct their recruitment processes in a quality-oriented and efficient way, by using automatic video interviews. A typical recruitment process consists of several steps. First, the vacancy is published on jobsites or corporate job portals so that any interested candidate may apply. Then, the person in charge of the process screens the candidates and draws up a list of initial candidates. These initial candidates will be interviewed once, twice or even more times. These intermediate interviews are conducted both by phone or face to face. Eventually, after the interviews, the candidates will be shortlisted so that two or three final candidates will be selected. The shortlisted candidates will then be interviewed by the person they will directly report to. Valigo is not a jobsite and doesn’t aim to replace the final interview. 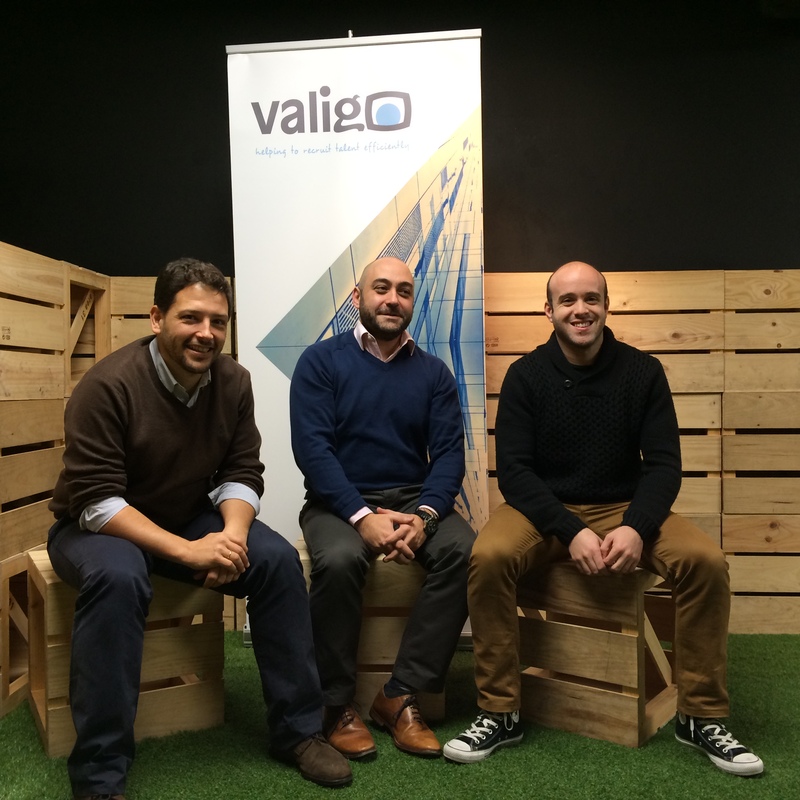 Valigo aims at helping companies to conduct the intermediate interviews in a more efficient and faster way. How does Valigo work conduct a recruitment process? With Valigo it is very easy. You just need to follow the following three steps: process definition, video interview recording and candidate evaluation. The recruiter will access Valigo and define the different process parameters. First, they will choose the deadline to record the video interview or the language of the process. After that, the recruiter will have to define the questions the candidates will be asked. The recruiter can choose the questions from a library created with the help of experts in Human Resources. This library is organized by positions and competences. Recruiters can enter questions manually, by typing the question text. The recruiter can also configure the interview to force the spontaneity of the answers to be provided by the candidates by limiting the total interview time or the number of attempts to record the answer to each question. The last step consists in introducing into Valigo the list of candidates who will take part in the process either by entering data one by one or extracting data from a file. Just after launching a process, Valigo will send a personalized email to each candidate with instructions and a link to access the video interview. The candidates will use a webcam to record their video interview on Valigo’s website. Valigo offers the candidates an intuitive and user-friendly interface to record the answers they wish to supply during the interview. Once the candidate has recorded the interview, the recruiter can access it from Valigo’s website. The recruiter or the team in charge of the process can view a complete interview or view the answers provided by all the candidates to a specific question, compare the candidates, evaluate them, rank them or add notes, in other words, use several features to filter and select the best candidates for the position. Which problems can be solved by Valigo Recruitment processes? Time and resources-consuming activity: interviewing tens of candidates, scheduling agendas, or even paying for the travel expenses of candidates are the main activities that consume these resources. Recent studies have shown that the average time-to-hire (the number of days since posting a job vacancy until the person starts working) is more than 50 days. Using video interviews and the filtering and assessment tools of Valigo, reduces the time-to-hire to 25%. But saving time and money is not the only advantage of using Valigo. The recruitment processes managed with Valigo enable the standardization of the candidates interview, helping to objectivize the selection of candidates: all the candidates go through exactly the same interview, answering the same questions, in the same order. Finally, SME’s usually do not have HR departments, the managers are those in charge of the recruitment. In such cases, Valigo is invaluable to run quality recruitment processes, helping managers to, for example, conduct competence-based interviews. What is Valigo’s business model? Valigo offers its tools as a SaaS (Software as a Service). We generate revenue in two ways: charging companies that manage recruitment processes with Valigo and by licensing Valigo’s technology and integrating it in jobsites and ATS (Application Tracking Systems). Given the current situation of the labour market in Spain, is it a good idea to start up in this moment a project related to recruitment? Yes, absolutely! Regardless of macro and microeconomic data, there are plenty of signs that the Spanish labour market is getting more dynamic. Some weeks ago, Infojobs, the leading job portal in Spain, published some data showing that they helped to sign 75% more employment contract than in the previous year, 2014. Additionally, we are still recovering from a long economic crisis. The huge unemployment rate in Spain makes it that every time a job offer is published hundreds of candidates apply. Their applications have to be processed and filtered by human resources departments which have generally been reduced in terms of people and resources, causing a perfect storm situation in which tools such as Valigo which help optimize selection processes are now more essential than ever. Last November, we started marketing our product with a few companies. The first results are now visible. We are currently closing the first contracts with customers and are working with job portals such as ProEmpleoIngenieros.com. What about your experience with Area 31? The experience has been extremely positive. Being surrounded with innovative projects led by interesting people who are passionate about what they do make the experience in Area 31 a very enriching one. In addition to cooperation and partnership programs, our presence in Area 31 gives us great visibility within the entrepreneurial ecosystem here in Madrid.